A series of free educational sessions offered by Children’s of Alabama Behavioral Health begins this week to assist parents, caregivers and community members as they care for children with various emotional, behavioral or mental health needs. The first session begins Thursday, Feb. 7 and the topic is “Managing Challenging Behaviors in the Home.” The sessions are held at the Children’s of Alabama, Lowder Building on the third floor in the Cain Conference Room from 5 p.m. until 7 p.m. The Caregiver Advocacy Resources Education and Support (CARES) Program provides caregivers with the information, resources and support they need to understand and cope with their child’s challenges. 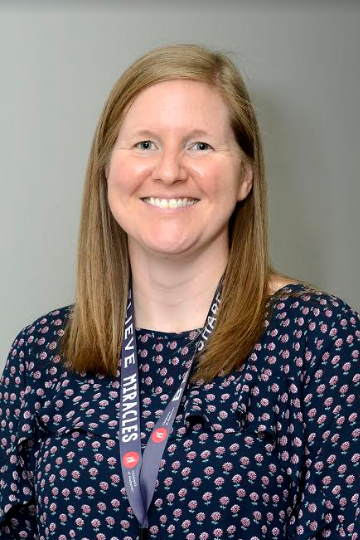 “I believe programs like this and supportive resources like this will help caregivers… instead of relying on inpatient hospitalization which can be pretty traumatic for kids and for families,” said Beth Rocker, Family Care Coordinator at Children’s of Alabama. The CARES Program began in January as “the kind of all-encompassing initiative to engage caregivers in their children’s treatment while they’re here with us,” said Rocker. Caregivers not only include the parents of the children but “anyone who has primary caregiving responsibility of kids and teens with those type of challenges…we say caregivers to not exclude anyone from that,” she said. Rocker said she’s happy to be a part of an organization like Children’s “that has the resources, and the staff, and the facilities to be able to host events like this for the community. I believe that we can kind of be on the cutting edge . . . with the resources that we do have, with the influence that we do have in the community,” she said. Instead of hosting an all-day conference, the sessions are provided throughout the year to allow families to come when it’s more convenient after work and settled, she said. Each session will include an expert to discuss tips on the designated topics. The expert will take up approximately 45 minutes of the workshops that will involve time for Q&As and potential role playing. The second hour will include other service providers and experts in providing services. Parents will be able to take brochures, and other materials home, “both in terms of the topic and also in terms of the services in the community that deal with that topic,” Rocker said. “We just want parents to come and feel supported and feel cared for in a lot of ways. And to come and receive these resources that we’re able to provide,” she said. Registration is available at give.childrensal.org/CARESTalks. For more information, email CARES@childrensal.org or visit www.childrensal.org/behavioral-health.